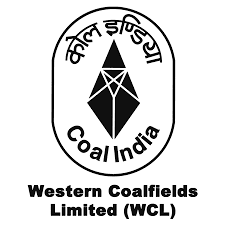 Western Coalfields Limited (WCL) Maharashtra Recruitment Notification 2018.WCL inviting applications for the positions of Mining Sirdar/ Shot firer.Interested and Eligible candidates can apply for the positions. Applicants those who have done diploma in mining & mining surveying holding overman competency certificate, valid Gas Testing certificate issued by DGMS and valid first aid certificate can apply. Minimum age to apply is 18 years, maximum age for general category candidates is 30 years, OBC is years and SC/ST is 35 years. Selected candidates will get basic pay of Rs.31852/- per month. Based on candidates merit in written test they will be recruited. WCL accepts application forms only through registered posts. From 05th September 2018 to 27th September 2018 candidates may send applications. http://westerncoal.nic.in is the link to download application form and send to below given address. General Manager (P/IR), Western Coalfields Limited, Coal Estate, Civil Lines, Nagpur-440001.